According to a new poll done by NPR, the Robert Wood Johnson Foundation, and the Harvard T.H. Chan School of Public Health, most white Americans feel that they are discriminated against because of their race. Which is a little terrifying, since racism against white people doesn’t exist. It’s not a far leap for a privileged group of people to jump from believing that they face discrimination to calling out “reverse racism,” making a real, productive conversation about race in America even more difficult. It really can’t be said enough: Racism against white people cannot exist in America (unless we go back in time and flip the switch on the European colonization of natives and trans-continental slave trade and make it so that those things and the subsequent years of systemic oppression of people of color never happened). The fact is — and this bears repeating — it’s just not possible for white people to be victims of racism, since white people have all of the power and privilege in systems that they’ve set up over centuries to benefit them. Access to jobs, education, healthcare, and even beauty standards all privilege the white experience, so there’s no real way for white people to face oppression for their race from people of color. However, data — including the data supplied by survey participants — showed that this isn’t the case. For example, 19 percent of white people said they had been discriminated against at work and 13 percent said racial discrimination against white people led to them not getting a raise or promotion. When it came to getting into schools, just 11 percent said that they were denied access because of prejudice against white people. Obviously, some white people feel oppressed these days, which is incredible, or rather incredibly out of touch with the reality of their privilege and what factors comprise oppression. Not only are these people straight-up wrong about the facts when it comes to losing access to jobs or education to a person of color, they make any real change or serious conversation about race almost impossible to have. Sure, some people of color might have prejudices against white people, but those prejudices cannot oppress white people in America, which is what racism is all about. Any compensatory measures that are instituted to do the smallest bit to bridge the canyon of racial inequality in this country still could never amount to white oppression or even significant marginalization. Aiming, for instance, to employ a more racially diverse staff might inherently mean you hire fewer white people, but things like that are infinite degrees removed from anything resembling racism against white people. For a white man living in poverty, the struggle is real for sure. Economic inequality is as pandemic in the U.S. as racial inequality. But a poor white man is more likely to be (to pick one random, small example of the privilege that comes with his skin color) given the benefit of the doubt that he’s unarmed, or at least legally armed, if he is pulled over for speeding and has a weapon. That’s an extreme effect of white privilege. Prejudice can be that people of color assume white people are all a certain way, which might be what some of those survey respondents are feeling. But since people of color don’t historically have power as a whole in America on anywhere near the same level as white people, those assumptions aren’t able to be weaponized the way that white prejudice against people of color can be, even if they hurt some white people’s feelings. No white person is going to not get a job solely for being their race, or be denied access to healthcare, housing, and food, or be put in danger because of any jokes or slurs thrown at them. On the other hand, when a white person tells a prejudiced joke or assumes something about a person of color, they reinforce the same racial stereotypes that have oppressed people of color for centuries, leading to further racial discrimination that often costs people of color their lives. 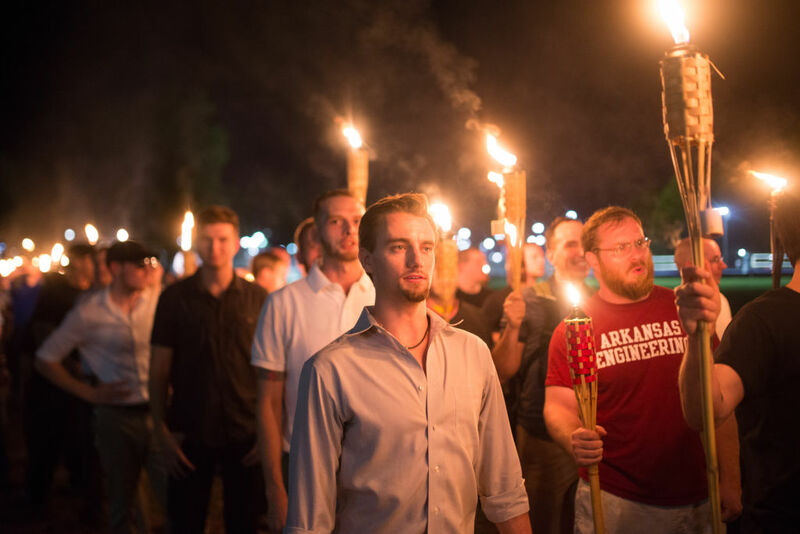 So what about all of these people who say that they’ve been turned away from jobs and higher education because of discrimination against white people? Well, actually, white women are the people who benefit the most from affirmative action, both in higher education and in the workplace. Which is kind of ironic, since Trump, for example, campaigned on a promise to fight affirmative action in universities. So the 53 percent of white women who voted for him because they hate that system are actually benefitting from that same system, just like every other system. White people have all the power, and it’s OK for people to criticize that power. It seems like this 55 percent of white people who feel like they are being discriminated against by people of color don’t understand that having systems in place to reverse the effects of systemic racism in America isn’t racist or discriminatory. It’s trying, often poorly, to make things equal. Criticizing those systems when they’re revealed to still be racist still isn’t racism against white people. It’s calling out the fact that the system is racist and oppressive. You can’t talk about economic equality, equal education, health care, or criminal justice reform without first acknowledging that race and white privilege are factors in all of these things. 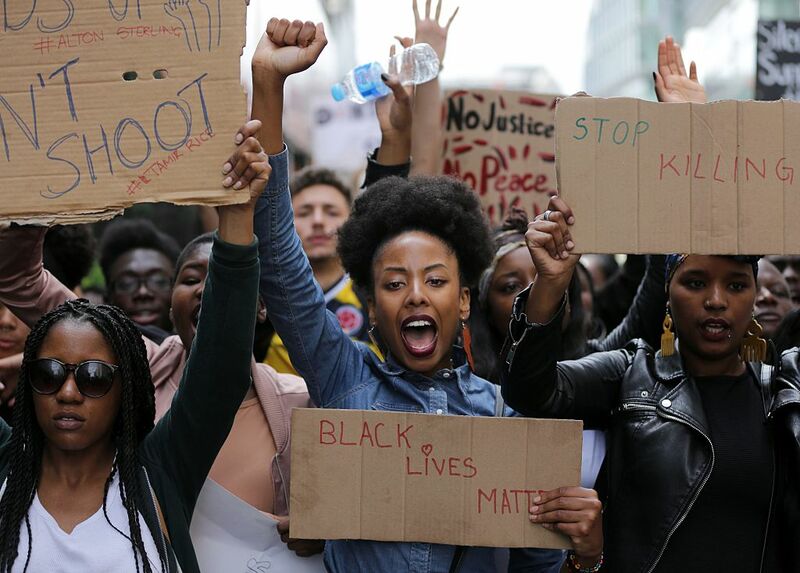 Calling out these systems for what they are is not is not “reverse racism against white people” — it’s the first step in reforming those systems. And being angry at America’s racist past or the fact that there are monuments to that oppression does not mean that people of color are racist “against” white people. A lot of white people still don’t understand the difference. So why trust them when they claim, erroneously, that people of color are racist and want to take them down? In both practice and in theory, racism against white people doesn’t exist in America. Which means that the white people who claim to be oppressed or discriminated against are either willfully ignorant or just plain racist themselves, and scared to extend power and privilege to those who need it.